SFW205GQC Digital Fire/Water Safe is rated 4.8 out of 5 by 4. 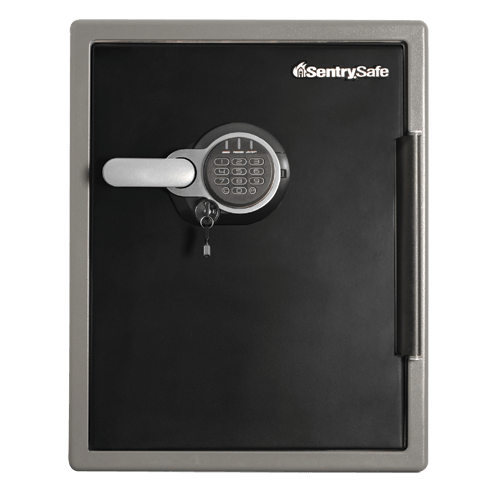 The SentrySafe SFW205GQC protects your important documents, digital media, and other valuables from fire, water, and theft. 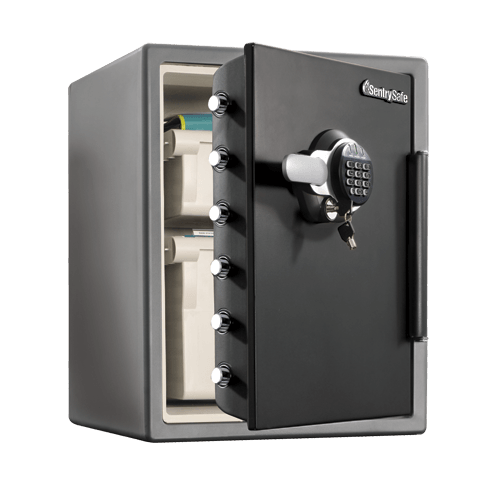 Dual digital lock with key, solid steel construction, pry-resistant hinge bar, and live locking bolts keep your items secure in the event of a break-in. The SFW205GQC also offers ETL Verified water protection and UL Classified fire protection for your irreplaceable items. Rated 5 out of 5 by Jaiy from Soo Far...soo Good!! 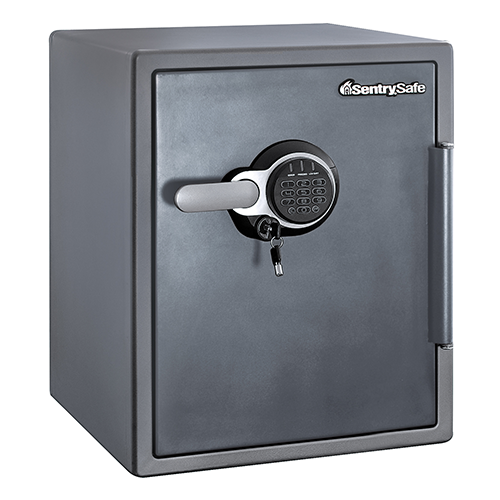 I like my Sentry Safe. I've put it in the desired location, it fits well. I've only had the opportunity to go into it twice and each time it operated well. As stated: soo far... soo good!! Thank you! 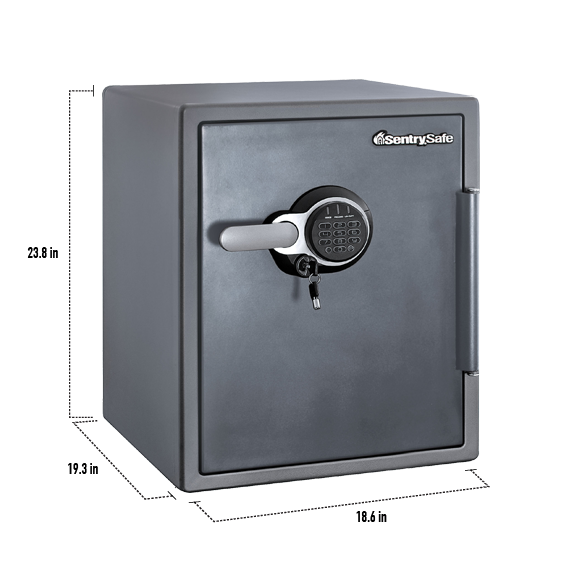 Rated 5 out of 5 by Tilane from Heavy duty safe Heavy, well built secure safe. What I would expect in a high quality product to protect my important papers and hand guns.